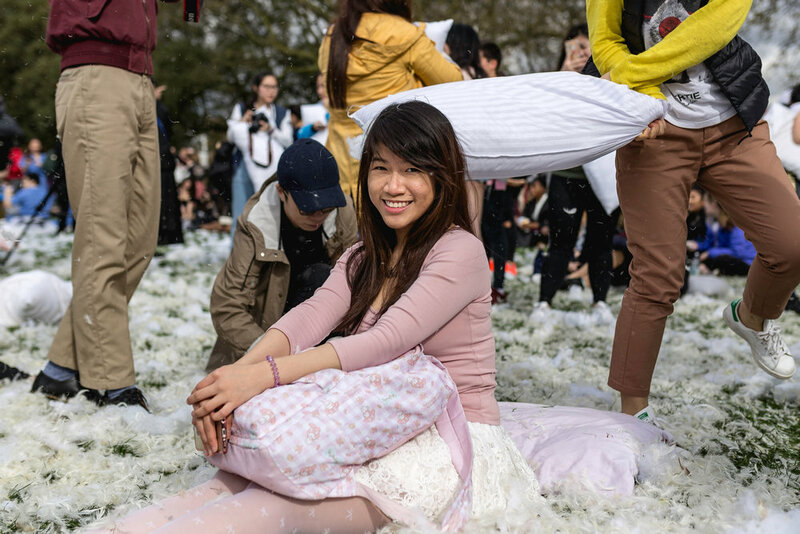 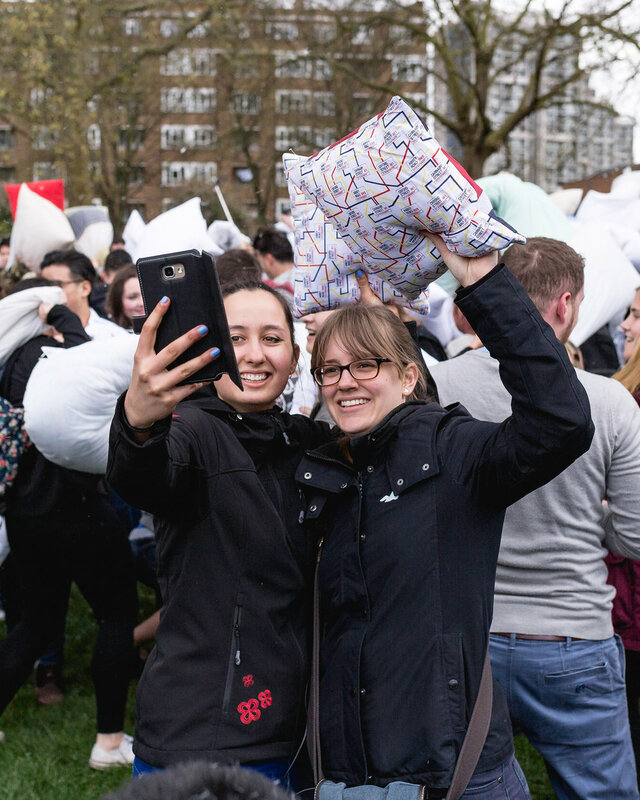 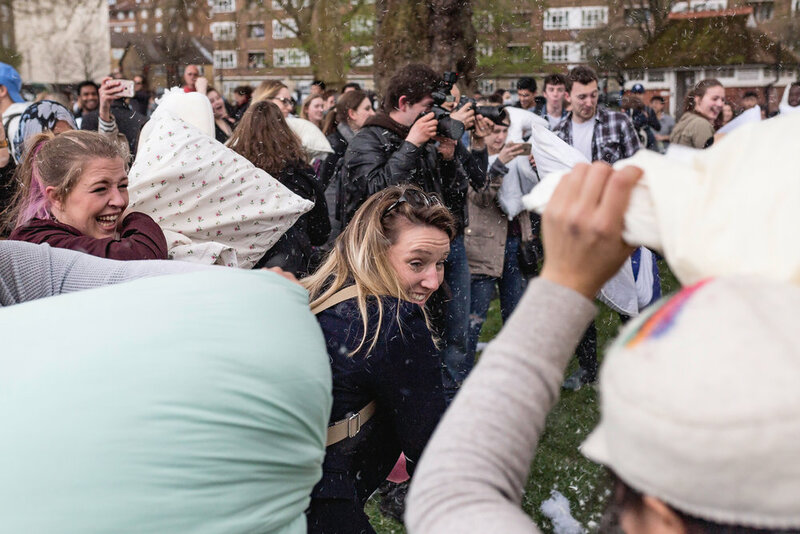 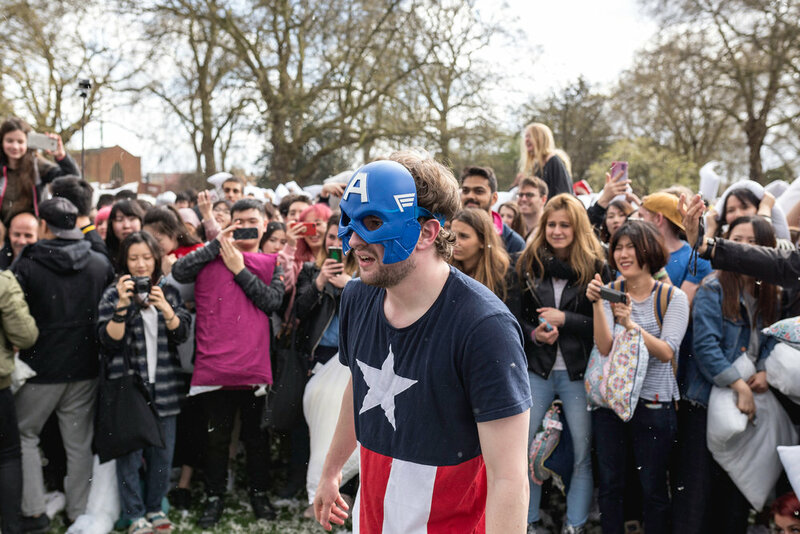 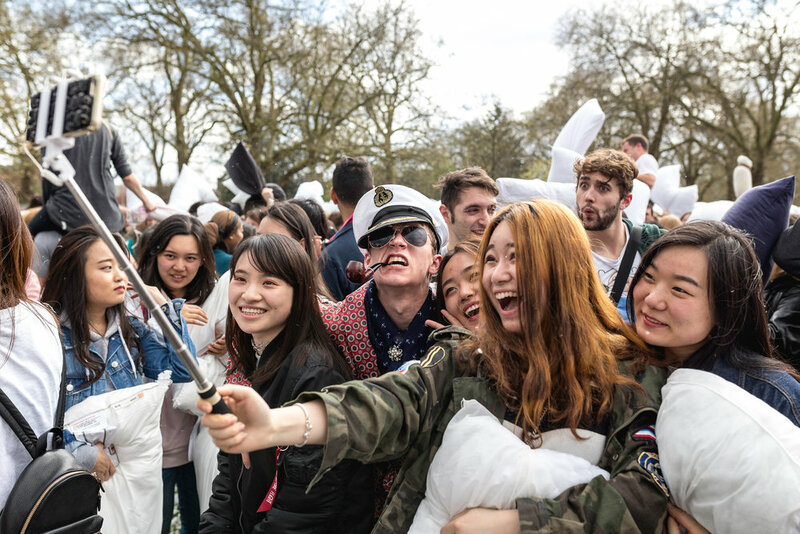 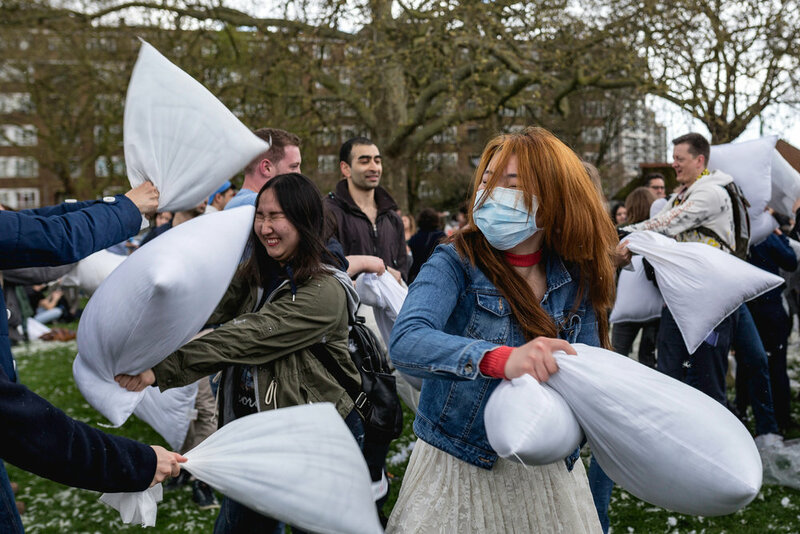 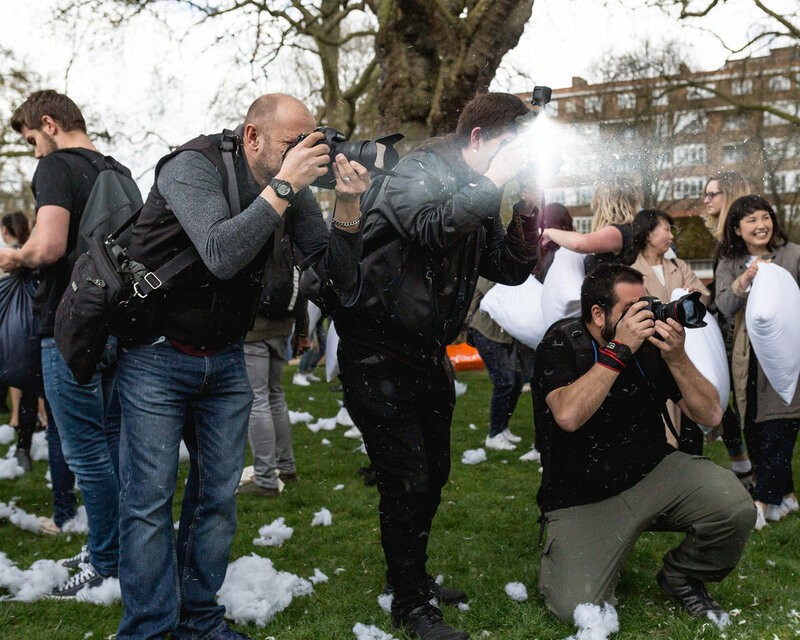 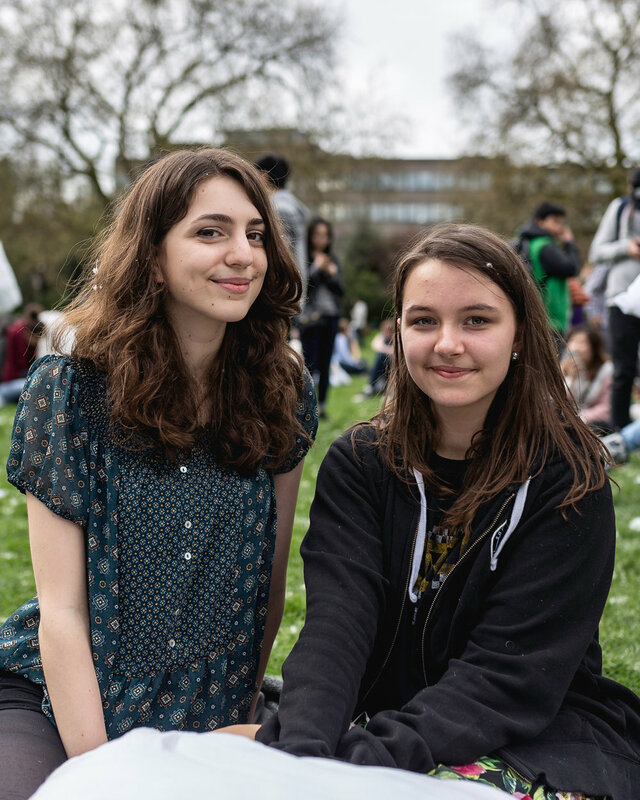 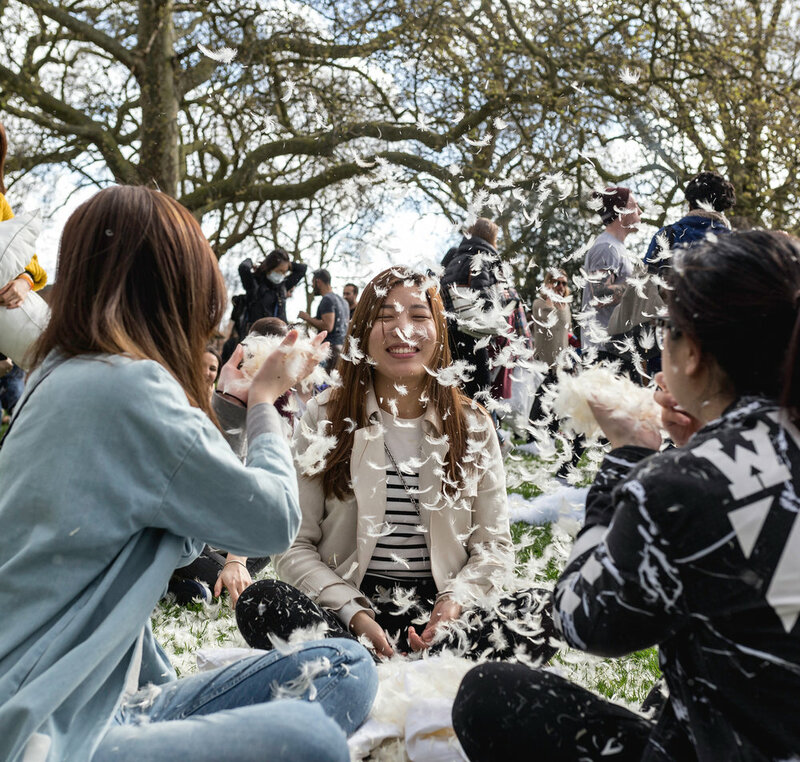 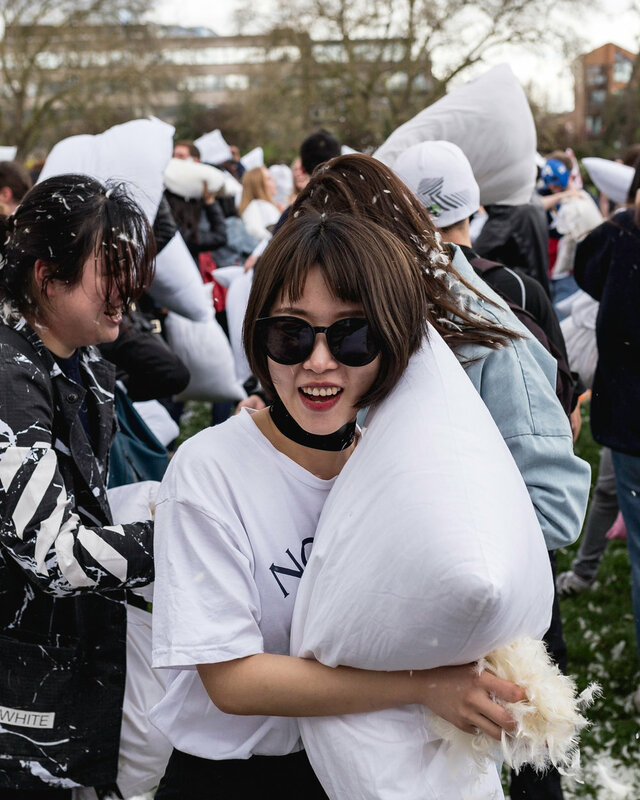 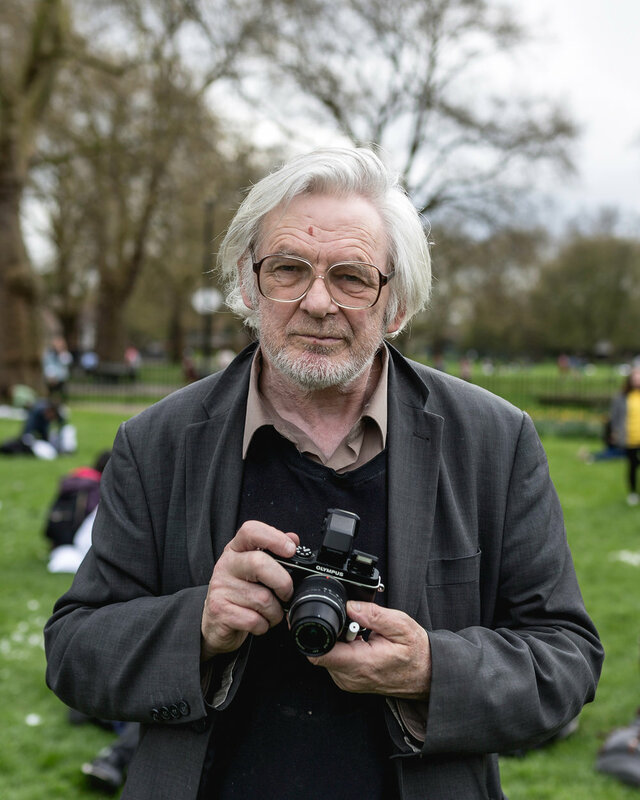 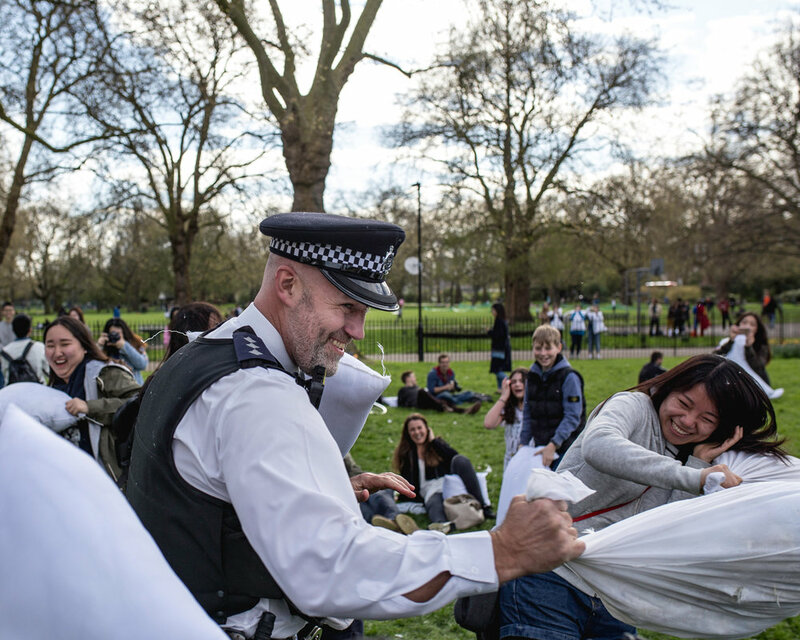 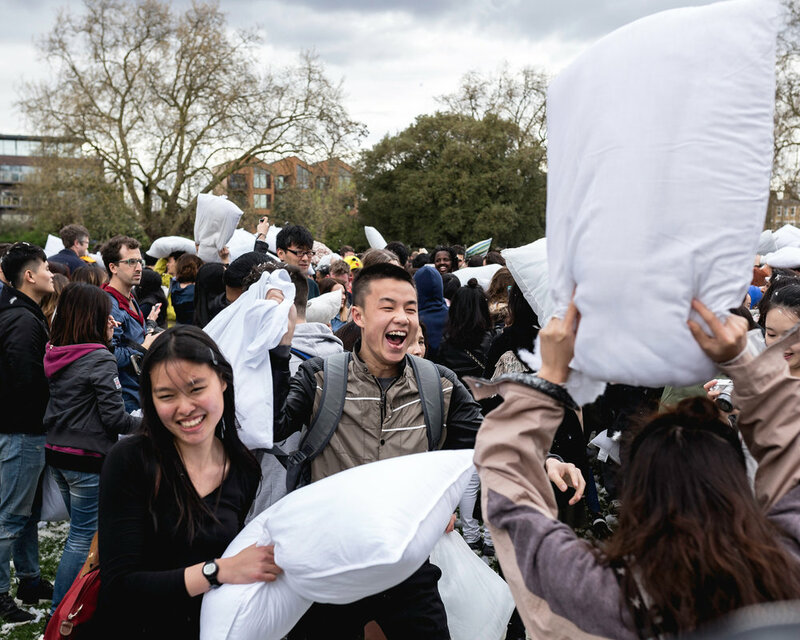 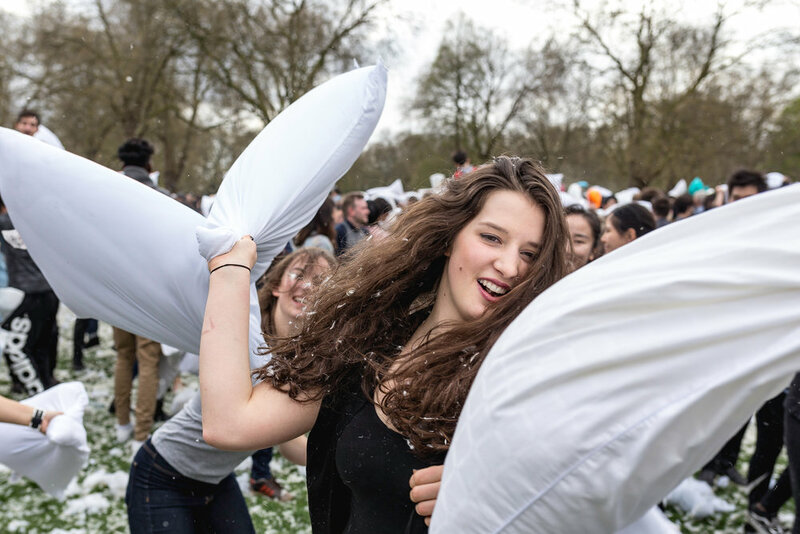 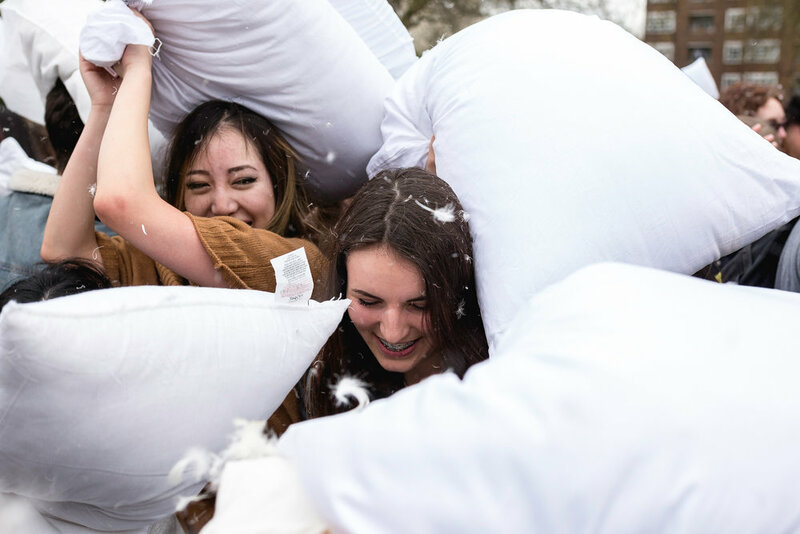 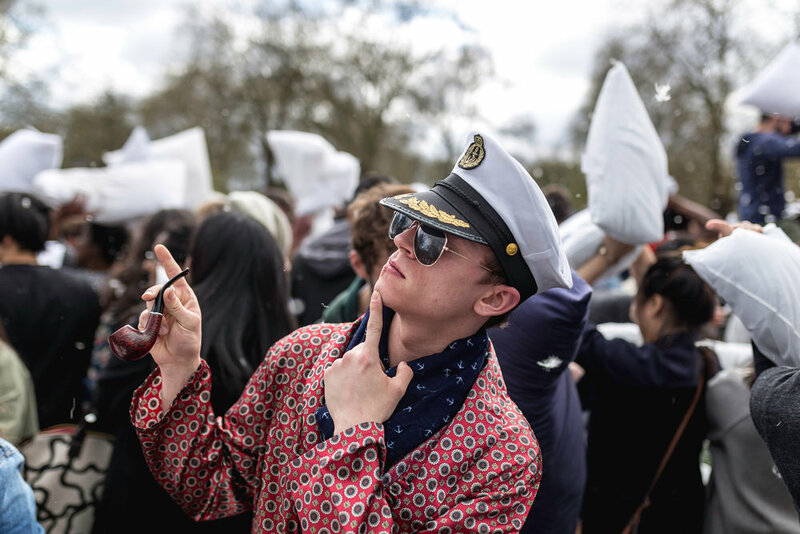 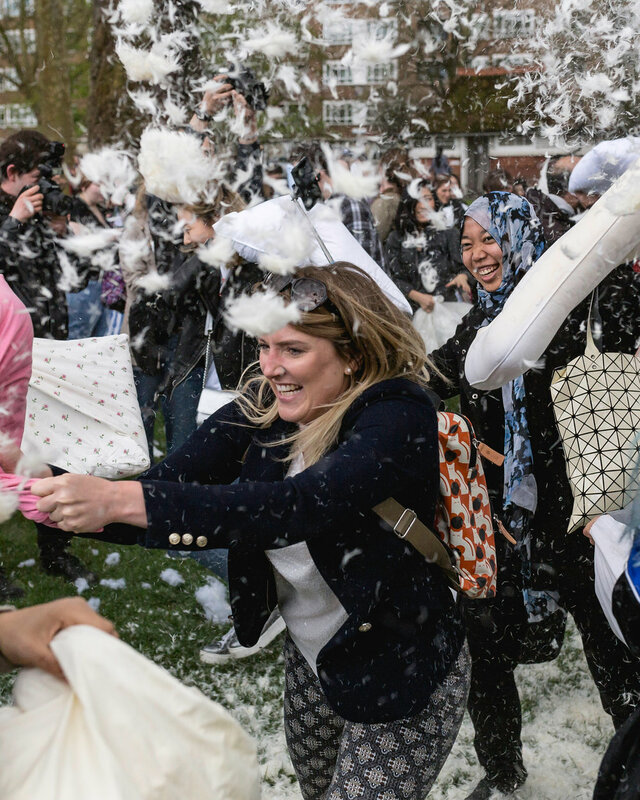 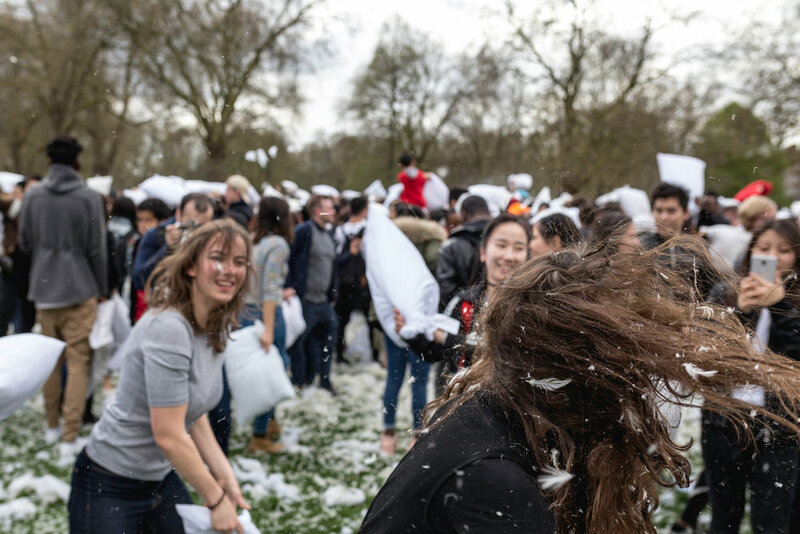 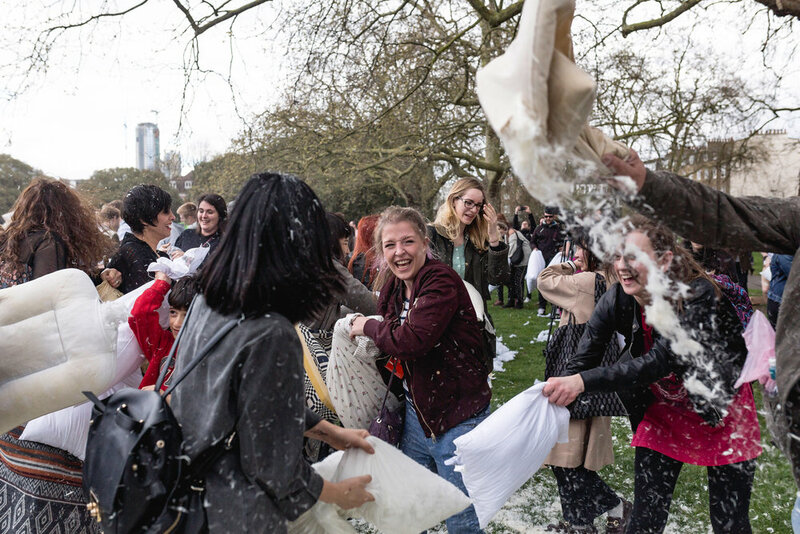 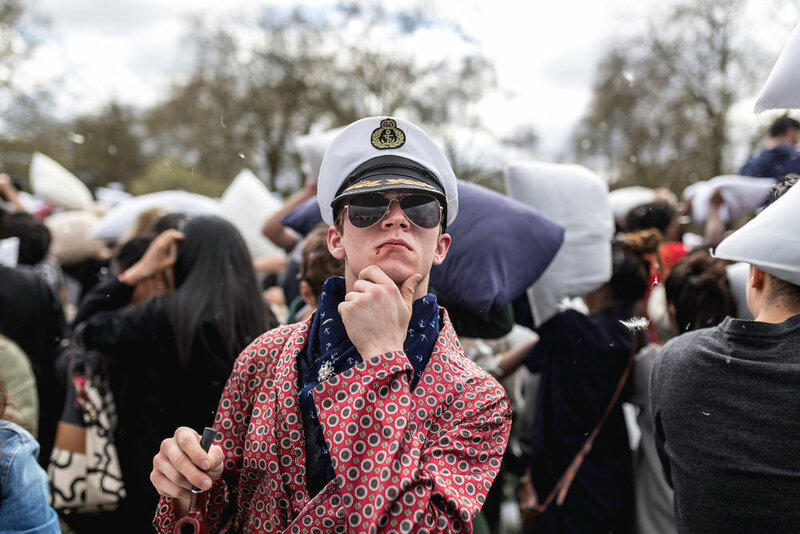 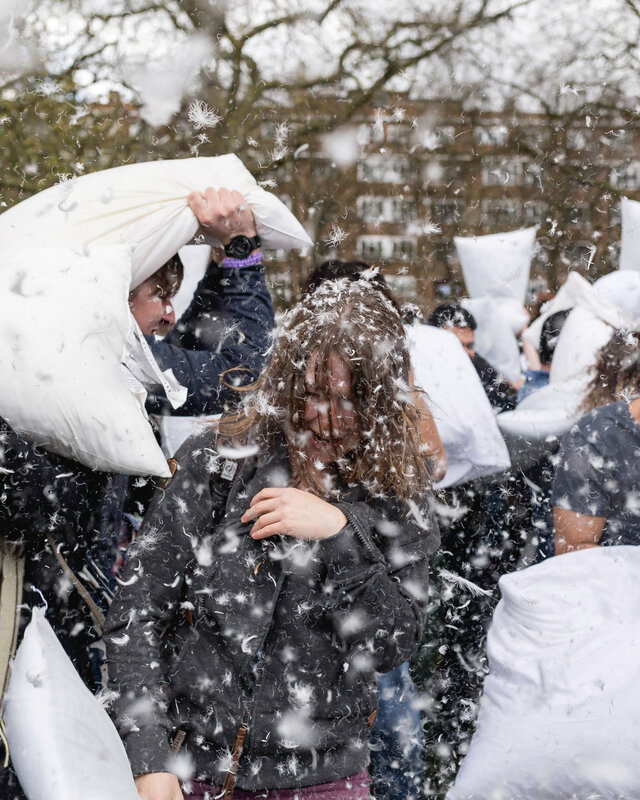 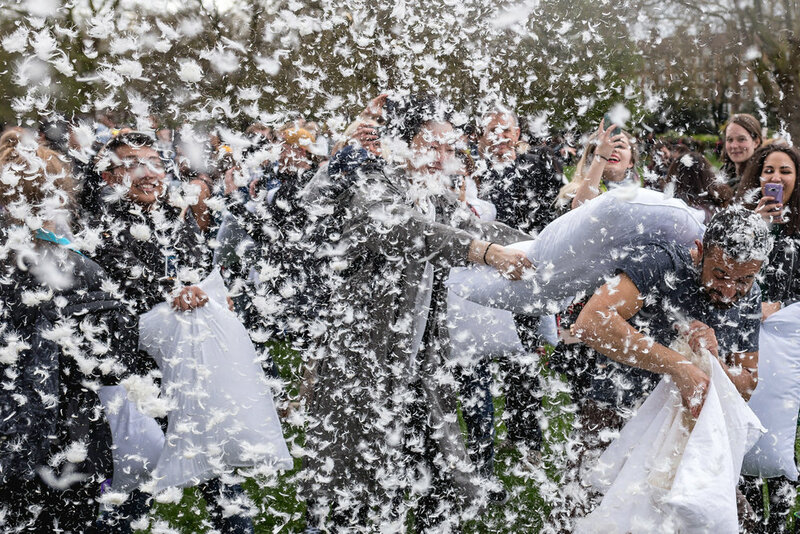 Armed with pillows, participants of all ages and backgrounds congregated in Kennington Park to take part in the annual International Pillow Fight Day. 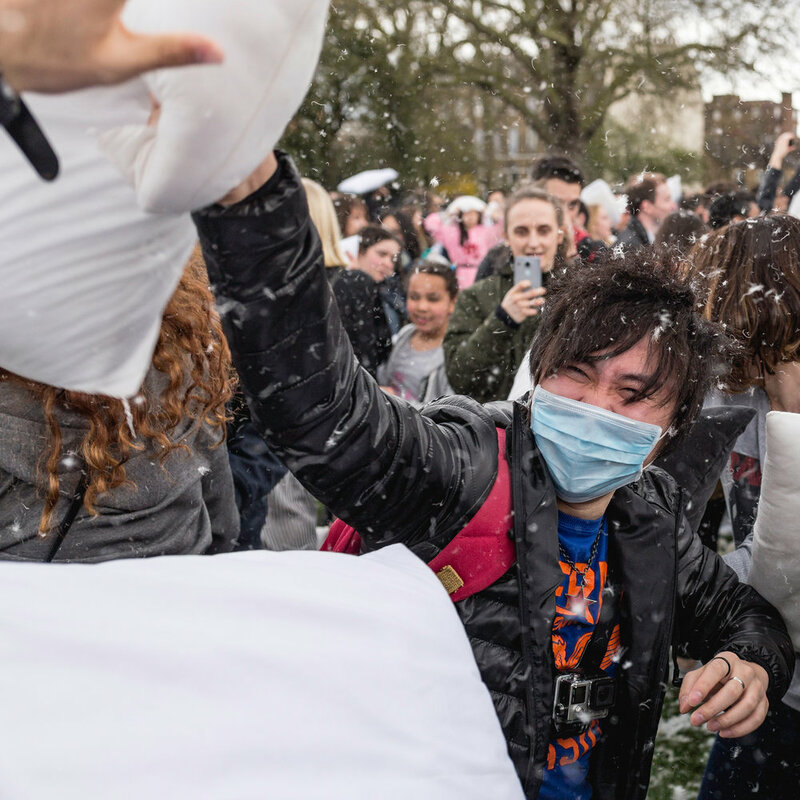 At 2pm the pillow fight commenced! 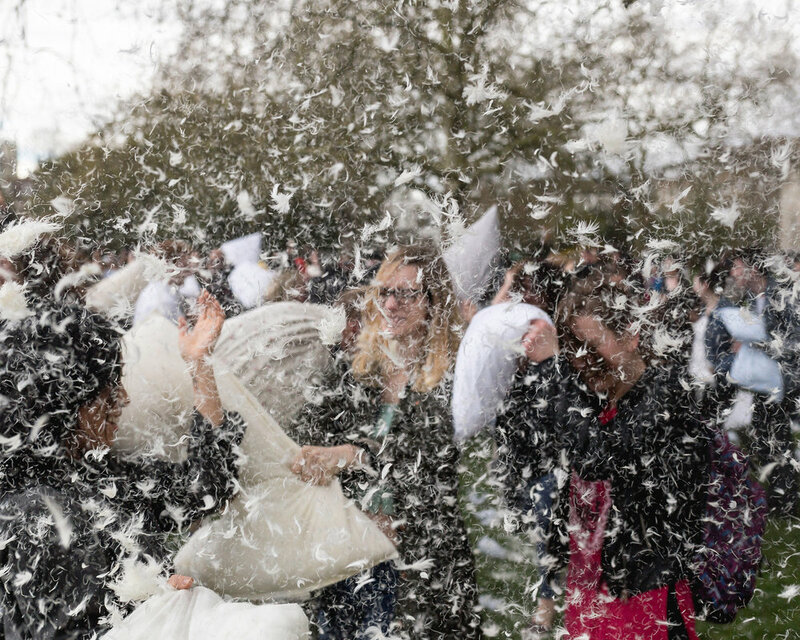 Pillows were swung left, right and centre, feathers exploding from pillows were greeted with a load cheers and celebrations. 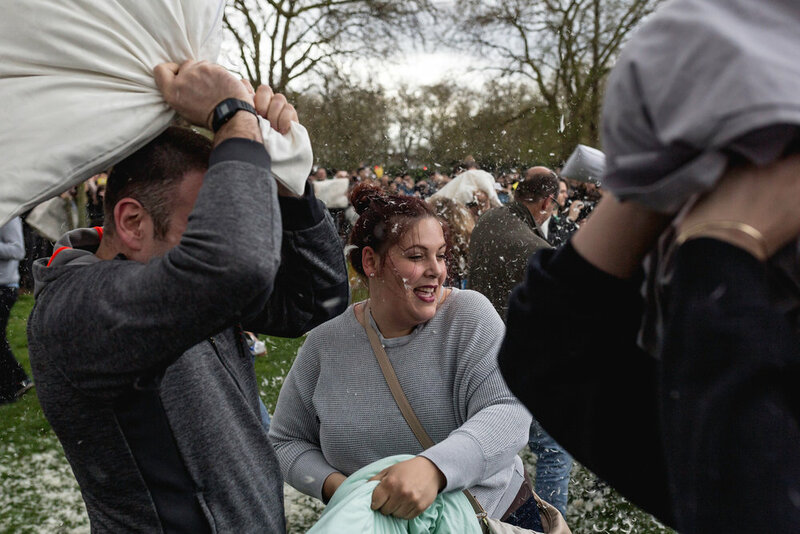 Battles between people dressed up fancy dress outfits were fought, lost and ended in a mutual pillow ceasefires. 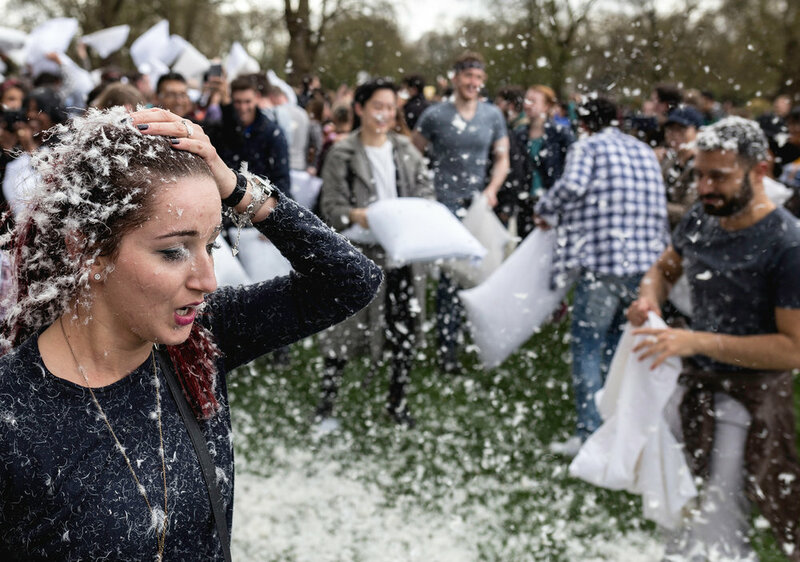 The pillow fight continued way past the designated 3pm end time, lasting into the early evening. 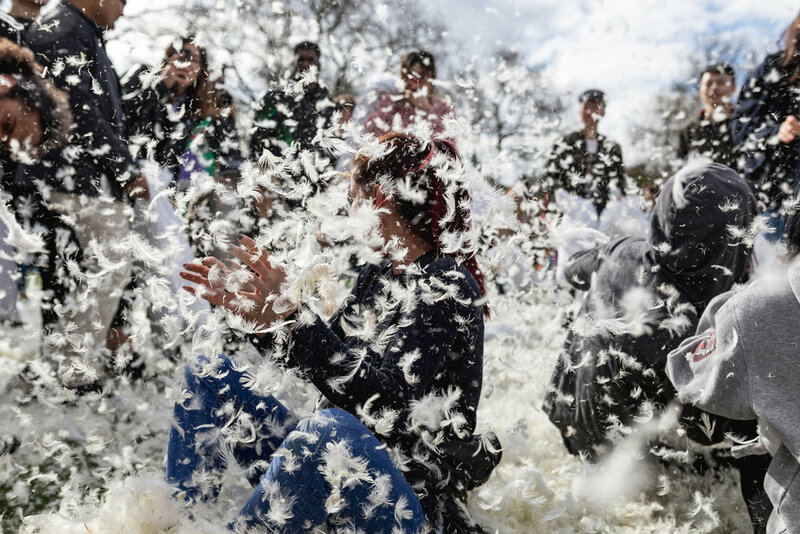 A large group of participants hung around to play amongst the enormous piles of feathers and discarded pillows. 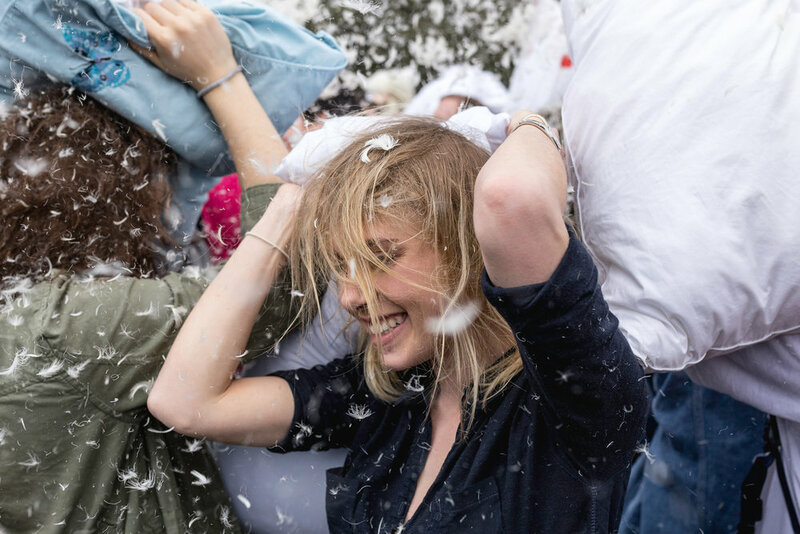 "It's so much fun. 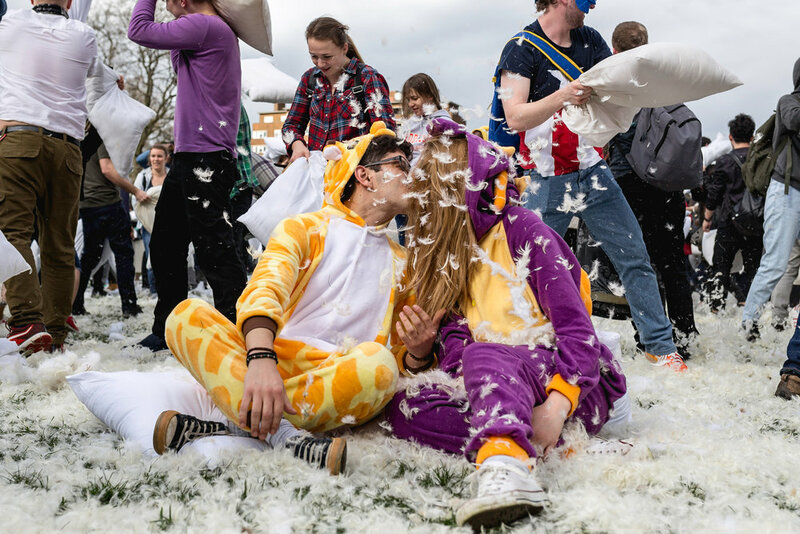 And its even happening in other cities around the world, everyone is having a great time and also letting off a bit of steam." 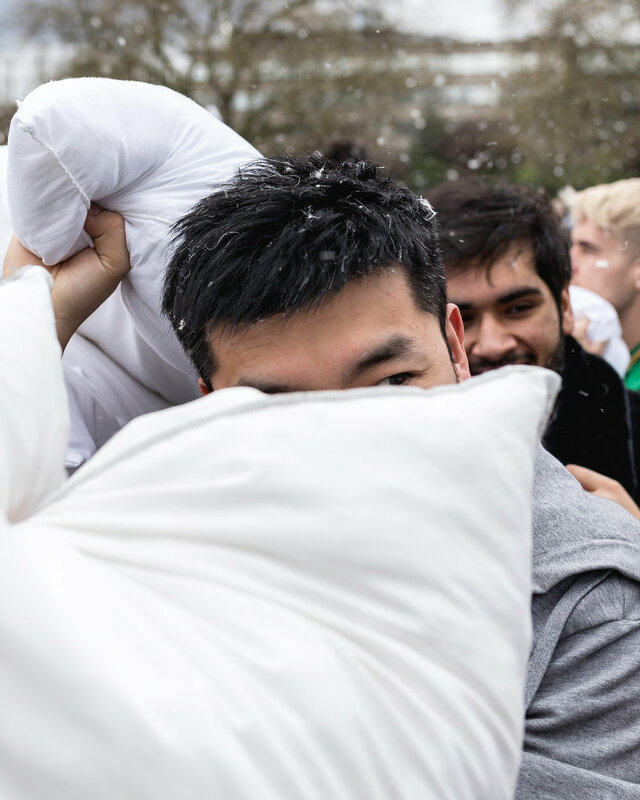 said a participant. 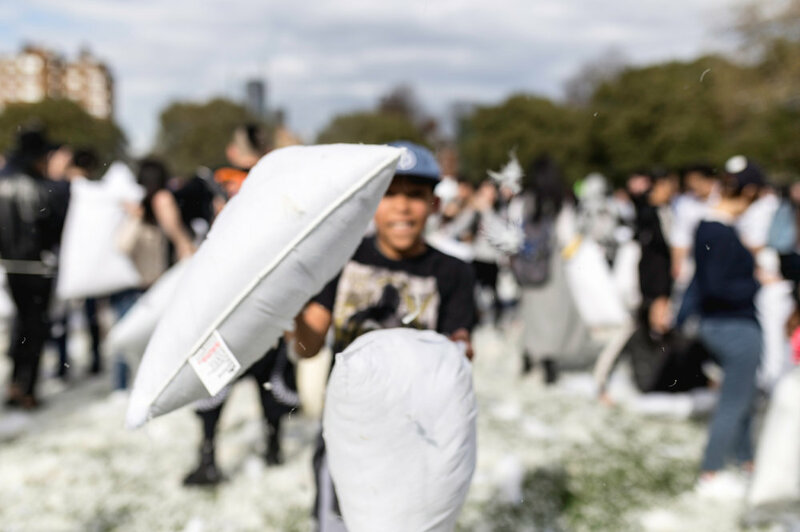 All the participants followed the rules that was posted on the Facebook Page and no injuries occurred during the battle.